Police activated a callout early on Monday November 3 2008 for Bush Search and Rescue to assist with a search for two lost people missing overnight on Mount Buffalo. The missing people were located later in the morning so the callout was cancelled. Bush Search and Rescue participated in the extensive bush search at Dom Dom Saddle in March 2008. During the last week of March BSAR joined Police, VicSES, Country Fire Authority, SAR Dogs Australia, Parks Victoria and Melbourne Water in the large-scale search for 57yo Warren Meyer who went missing from a four-hour bushwalk on the morning of Sunday 23 Mar 2008 in the Dom Dom saddle area, NE of Melbourne. Mr Meyer was an experienced bushwalker and was equipped with a GPS, mobile phone, water and some snack bars. A total of forty-four members from various clubs, responded to three callouts over the four days of our commitment. Members line-searched the often dense, damp understorey of the tall forests looking for any signs of the missing person. 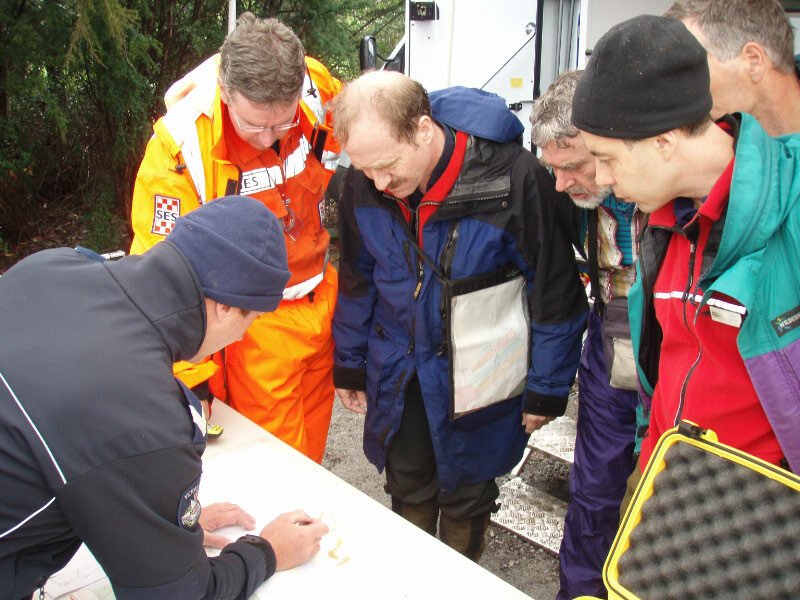 The King River search was on December 9, 2007. Sixteen BSAR members responded to the search for a Scottish tourist, William Bliss, 19, who become lost in the Sabine Falls area north of Apollo Bay in the Otway Ranges. He became lost on the afternoon of Tuesday April 3, 2007. A search of more than 40 Police, SES, Parks and other volunteers was organised on the Wednesday. As he was not found during that day BSAR was placed on standby and a called out initiated later in the evening ready for a 0430 transport to the search area on the Thursday morning. 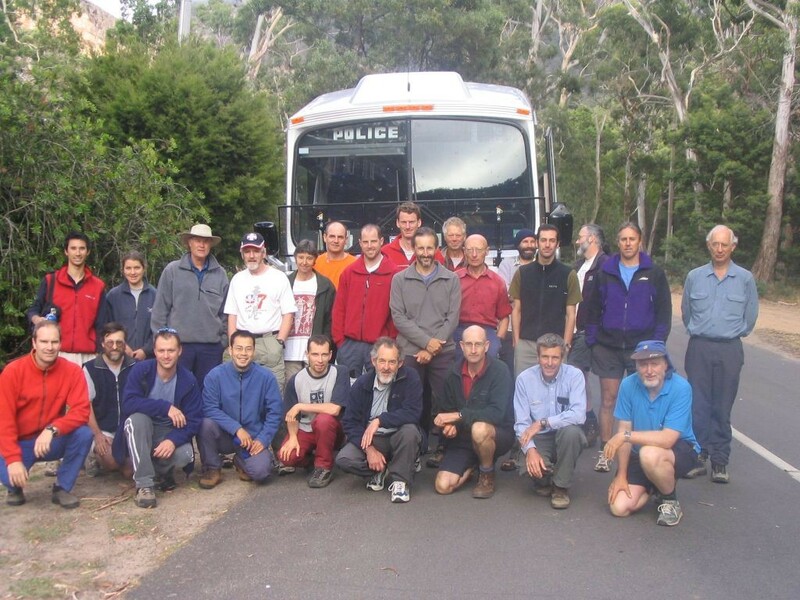 A female bushwalker with overnight gear was reported missing Sunday 16 January 2005 near Mt William in the Grampians. She had separated from her companion to do a “short walk” on the Major Mitchell Plateau and failed to meet up at the agreed rendezvous point. She was last seen at a bush camp on the headwaters of First Wannon Creek. This is on the Major Mitchell Plateau where the waking track crosses the creek. The walking track goes south from Mt William, crosses the Major Mitchell Plateau on he high ground then curves southwest to the Halls Gap Dunkeld road. Date: Monday 17 & Tuesday 18 March 2003. Local Police and SES conducted a search for missing man near Woods Point Road, Cambarville on Sunday 16 March without success. The Police Search and Rescue Squad joined the search that evening and called in Bush Search and RescueAR. Thirty three BSAR members arrived at Cambarville by 8.00am Monday 17 March. The search was conducted in along main streams, side gullies and spurs of Armstrong Creek and the Arnold Creek watershed to the northeast of Cambarville.